This is primarily farmland. But the different farms, or plots, or crops, or whatever they are, rather than a nice, even grid of rectangles, are all different shapes separated most of the time by a row of thick, mature trees – like a giant art-decco stained glass window was carved into an old, dense forest. Secondly, they have “villages” here. Real frikin’ villages. Every few miles, popping up within these random polygons of crops is an old church with a blatantly tall spire surrounded by 20 to 100 virtually identical houses tightly gathered around it. I never really knew what a village was. But there they clearly are scattered all over – mostly the first half of this journey – being real villages…I think. All of this was supposed to happen last night, but we missed tht train. And now I’m kind’a glad we did because I would have missed all these real-life villages in the dark. We flew in from San Francisco yesterday evening, landed at 5:15 or so, and after a very easy stop in customs and an uneventful wait for baggage claim, we caught a taxi to an intimidatingly large train station. We had about 2 hours to accomplish all that, but we fell into “Paris Traffic,” as the driver labeled it. I would have explained that it was very similar to “California Traffic”, but he didn’t speak any English. Come to think of it, he’s the only person we’ve run into over the last 36 hours who we can’t talk to. Obviously, we got it worked out, but spent the night in Paris last night and caught the train this morning. 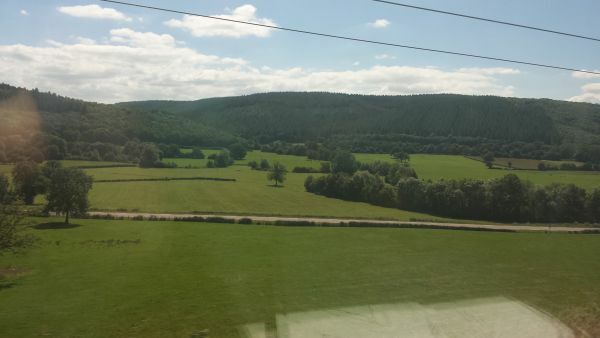 Why are we on a high-speed train heading toward the South of France? Because that’s the first (planned) stop in the Calders’ Epic 2014 Summer Adventure. Apparently, Paris was the actual first stop, but whatever. That’s what makes it an adventure. The plan was set in motion back in February of this year, when we were in Sayulita, Mexico, and decided that we should spend the whole Summer THERE. Actually, the plan was set in motion many years ago when we both starting working from home full-time, and I’ve been whining about the fact that we could live virtually anywhere in the world, yet I’m spending my 44th year in the Bay Area. Vanessa finally pointed out, in Sayulita, why don’t we just start with 2 months instead of actually MOVING? Why not? Turns out Sayulita, Mexico is really, really hot in the Summer though, and really, really humid. And there are bugs the size of antelopes. Or not – depending who you ask. Half the people we talked to who live there year-round said it’d be too hot for us, and the other half smiled and said THEY love it. 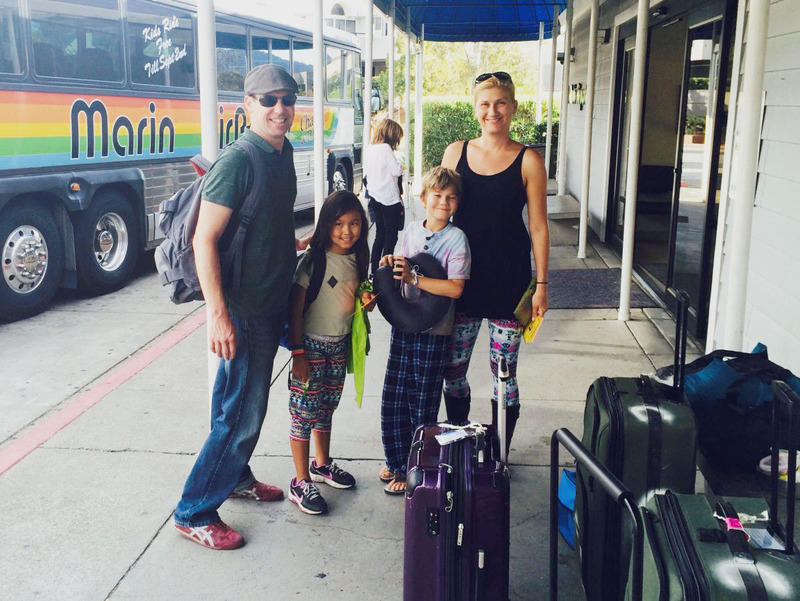 So, when we got back home from Sayulita, we created an account on HomeExchange.com and started poking around. Somehow, we settled on Europe, and one Sunday afternoon, we sent out 127 emails to people all over Europe whose profiles indicated that had some amount of interest in coming to California. Many were only looking for a week or so, or already had plans, or weren’t interested for one reason or another. But, a few people responded favorably, and after a couple weeks and some back and forth emails, we’re set up to swap homes with one family in Belgium and one in Paris. Throw in a week visiting a friend in the South of France and voila! Here we are. And when you’re doing something like this, friends and family want to know how it works, and what kind of success and complexities we encounter throughout the planning and execution. Because they want to do it too. 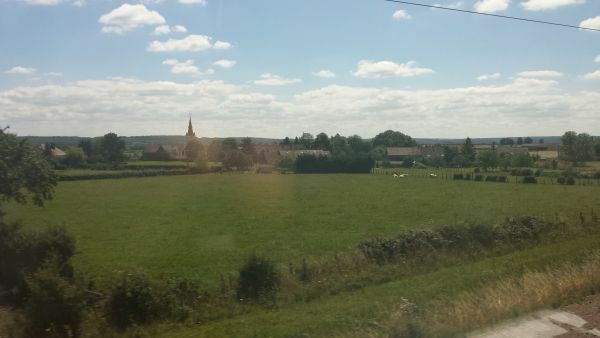 So, here’s the blog that will hopefully serve as both a communication of our day-to-day experiences in an international home swap, AND, a shared log of our musings of the French culture, wine and beer, fast trains, villages, and who knows what else. This entry was posted in Epic Adventure Summer 2014, Uncategorized.